Umbraco .Net CMS for enterprise web design is the emerging force among many open source Content Management System platforms. Coded in C#, this CMS is created on Microsoft .NET framework with its open source license released by MIT open source license, but the user interface is under the Umbraco license. Conversely, Umbraco isn’t design to be an “out of the box” CMS where little configuration is needed and you’re good to go. Rather, Umbraco requires some special installations. It demands Microsoft technologies like Microsoft IIS, SQL Server, and ASP.NET. This CMS is a little difficult to learn if you are not a .NET developer, but once learned it is straightforward and easy. 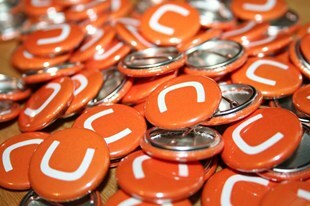 Umbraco .Net CMS for enterprise web design was conceived and created by a Danish web developer, Niels Hartvig. It all began when he was working for a code to create web solutions. Realizing the bright future of his developed codes, he allowed others to use it for free. He was able to gather great feedbacks for improvement giving him the opportunity to shape his codes more perfectly. He quit his freelance business in a quest to pursue the full development of Umbraco. Umbraco was initially released in 2001 and its latest stable release was version 4.7 on March 14, 2011. Currently, there are over 110,000 sites running on Umbraco. Contour – Allows for an efficient creation of online forms and questionnaires in a few simple mouse clicks. Courier – Allows easy switching of your site from staging to production. With this tool you can ease setting up an entire website, synchronize contents from one environment to another, or supplement new functions to a mounted server. 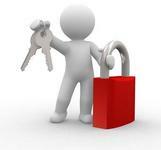 Concierge – Takes into account what was installed and what was used during the entire operation. It checks in and out documents like registration of third party applications, monitoring of action handlers so that webmasters will know what’s interacting with event models. 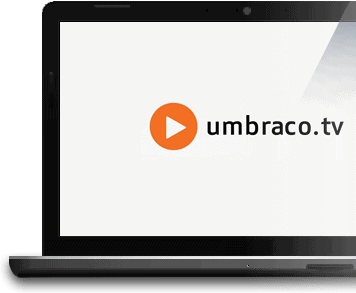 Umbraco.tv – Subscriptions to Umbraco.tv allows for 6 hours of video tutorial teaching you everything you need to know about Umbraco. New tutorials are released every month to teach you new updates of the product. 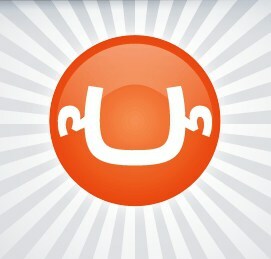 Umbraco.tv is also accessible in iPhone and iPod. Umbraco .Net CMS for enterprise web design fully implements .NET Custom Controls and .NET User Controls after having founded on core technologies like the .NET framework 2.0, ASP.NET, and coded in C#. These controls are instantly appended with the power of macros. Umbraco is fully compatible with ASP.NET Master Pages, ASP.NET Ajax and other Ajax toolkit, XSLT. Umbraco API and event models can be accessed for customization of content engine tasks. While other CMS platforms provide their own custom templating for themes and skinning design, Umbraco does not. Umbraco allows the integration of whatever specialized web designing sofware that is out in the market. This comes very handy for those who have mastered Adobe DreamWeaver or any other web designing software one is comfortable using. You have full control over design preferences. All that needs to be done is to transfer the HTML codes into the Umbraco template editor by copying and pasting, then at places where you decide your Umbraco data to settle, just insert a field and then proceed to save. That’s it. When you render the page, the content is actively shown. Umbraco .Net CMS for enterprise web design is fully customizable and has no problem integrating many other applications out in the market. A perfect way to customize is to take full advantage of Umbraco’s source code extensibility. To customize is to extend the source code not modify as this could lead to many future problems including upgrade break up. Extensibility permits the addition of new application, new trees, new dashboards, new data sources, macros for .NET User Controls and .NET Custom Controls, and more. Extensibility even jumps beyond the .NET systems. Additionally, Umbraco’s capability for integration allows the exposure of its data to other systems like Umbraco content display by SharePoint WebPart. Being a CMS for enterprise web design, Umbraco’s central concept lies with its Document Type. Document Type is identified to be any type of text content contained in a site for instance, the home page, news items, articles, etc. 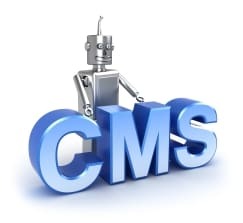 Other CMS call this content types or web pages. #document types define a basic structure of a website’s information architecture by specifying what part in the structure the documents are placed, thus effectively limiting navigational specifications. Defining the structure of your Document Types is really organizing document hierarchy, which document falls under which one comes first – a sort of determining the parent and child Document Types. If for instance you create a Home Page Document Type, then all the rest of the Document Types would fall under it. The structure of Document Types also determines how your website will be navigated. Every time content is published, a new version is made and an audit trail is preserved to easily track version series updates – in case there is a need to roll back to earlier version. For automatic clean up of old versions of content you may wish to take advantage of Umbraco’s event model or use the free tools offered. The security system of Umbraco .Net CMS for enterprise web design involves the creation of users and defining roles and restrictions / access permissions on them. Each user created requires a username, password, and email. You can impose restrictions on which content area a user can work by specifying a setting in the Start Node in Content. Depending on the node level setting, the navigation tree starts from that node down hiding the rest of the node tree up. The User Types or roles in Umbraco are: Writer, Editor, Translator, and Reviewer. This CMS for enterprise web design also practices granting special privileges for Members Only. Membership to a site is arranged by accessing the Back Office Members Section. There are three types of membership: Basic, Silver, and Gold. Currently Umbraco has 15 languages supported but anybody can customize a language support just by accessing the XML file for User Interface and simply translating the texts to desired language. Umbraco’s Administration Panel is named the Back Office. Here you can do pretty much all of the control settings you require for your site and users based on your role and permission. With the Back Office you can control your content, users, members, style sheets, templates, scripts, dictionary, languages, media types, and document types. Developers can access and manipulate data types, look through cache settings, build and control macros, packages, XSLT files and python files. The content section is where editors have the power to control web pages and contents. You may use whatever external editor you’d like to build your content with as long as it supports MetaWeblog API. Umbraco .Net CMS works with Word 2007 and Windows Live Writer. A digital resource repository is well provided in the Media Section. Here you have t he freedom to organize stored resources according to your own cup of tea. The available media types can be created by selecting from the predetermined list in the Media Types under Settings. Umbraco .Net incorporates a list of blogging and social media capabilities. For a speedy processing of published content, Umbraco works by caching data. First, Umbraco initially fills the Umbraco.config file with content nodes, and then loads the nodes to memory after each queue. IIS and templates caches static files while ASP.NET cache controls caches XSLT and user controls. Umbraco .Net CMS for enterprise web design supports load-balancing being an integral feature of this CMS platform scaling from web hosting to web farming. Umbraco supports High Availability Service, DNS Round Robin and Hardware Solutions. Umbraco has been found to hold up to 200,000 published pages and will scale 830 page requests per second. An important reminder before anyone starts considering Umbraco .Net is that this CMS is unlike the growing user-oriented trend of most popular CMS out there where almost everyone can use the system even with only a basic knowledge under their belt, this one is made to be a CMS for designers and web developers. Non-technical users may find Umbraco hard to tackle with its steep learning curve.